This 200 person facility includes a mini kitchen, restrooms, and atmosphere to compliment any large group gathering. This facility is only available with paid fee, damage deposit and signed rental agreement. Additional images of the Bessinger pavilion are here. 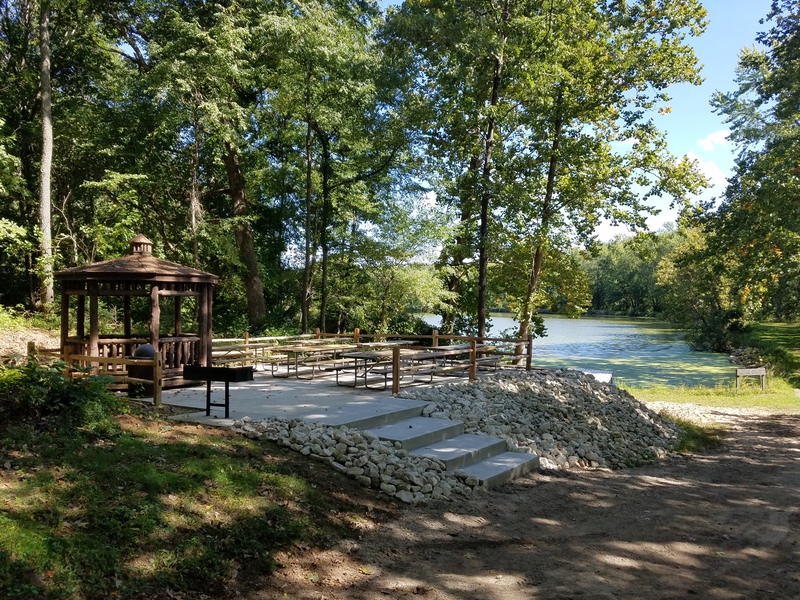 Our newest rental facility is The Eagle's Nest which has a scenic view of the Tippecanoe River and our large lake. 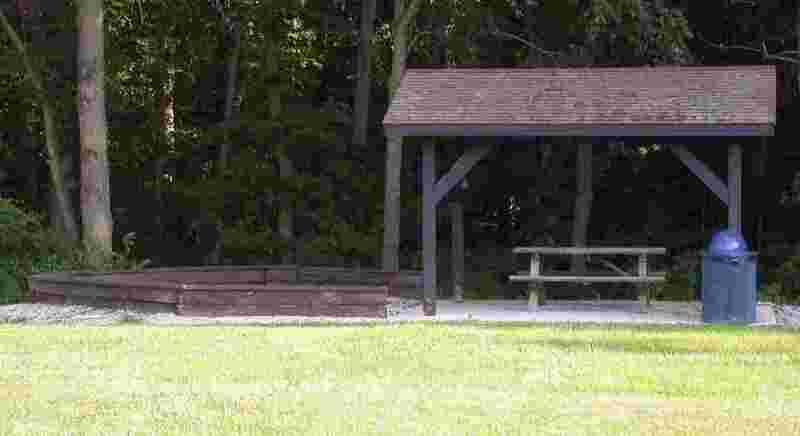 Amenities include 6 picnic tables, a small gazebo with a table inside, and a large group charcoal grill. All enclused on a patio surrounded by rustic split rail fence. Capacity is 50 max. Within modest walking distance from our parking lot, Please note that the site is restricted to 1 vehicle to transport your event supplies. No other vehicles allowed. This facility may be reserved with fee and signed rental agreement. 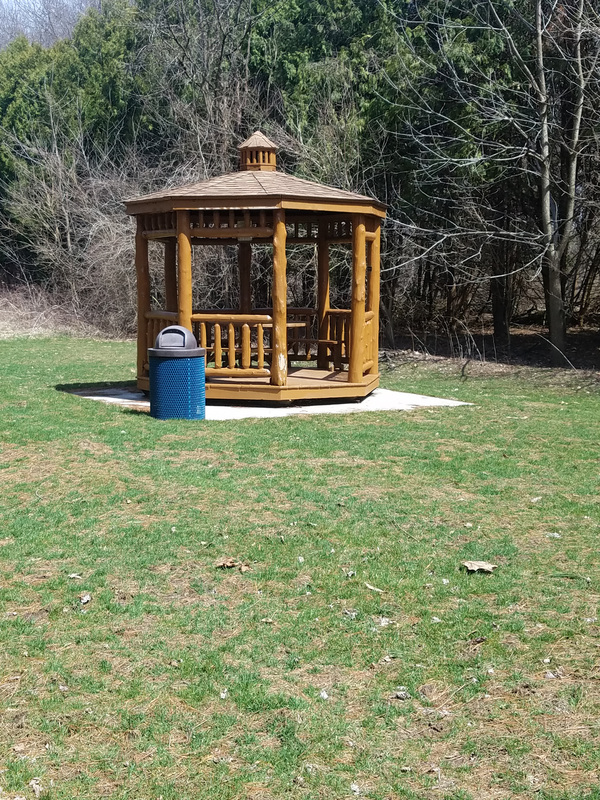 A fire-ring with oval seating and mini shelter for cookouts is available for small groups and families (capacity 50 Max). Facility is within walking distance and site of the main parking lot. This facility may be reserved with fee and signed rental agreement. Gazebo #1 is available on a first come first served basis but can be reserved with fee and signed rental agreement. Gazebo#1 can be reserved for small private weddings, birthday parties, or other use. It is within site of the guest registry area, north of the main parking lot. Gazebo #1 is restricted to 1 service vehicle if needed to transport supplies. No other vehicle allowed. 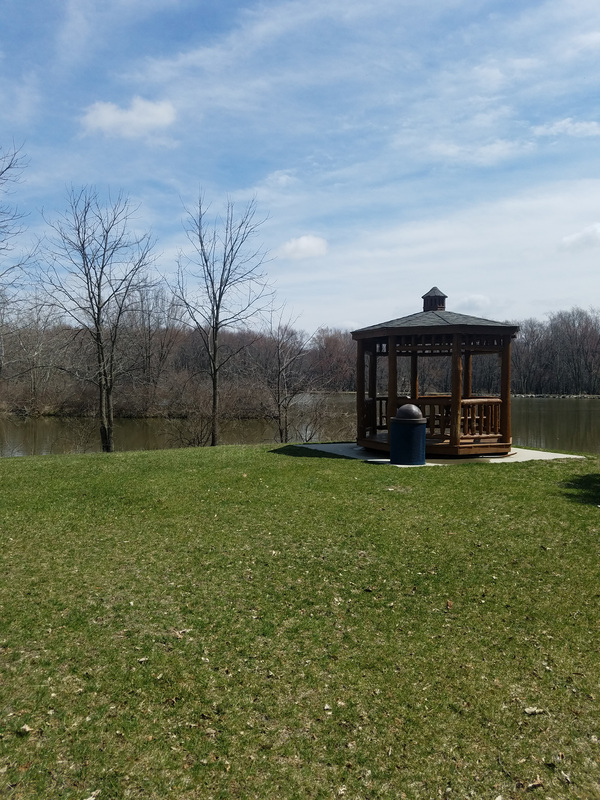 Gazebo #2 is a significant walk from the parking lot but sits on a grass knoll overlooking the large lake making it a nice spot for your sunrise breakfast celebrating your anniversary, or a nice picnic for your family. Weddings and large parties are prohibited and no vehicles are allowed at Gazebo #2. Various picnic tables and a charcoal grill are available for individuals and families on a first come first served basis. Picnic tables are located south of the main parking lot. 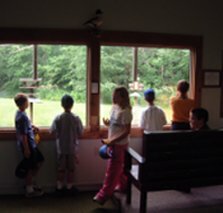 The Interpretive Center is located west of the parking area and includes educational displays and a wildlife viewing window. Enjoy both natural and historical displays as well as see our famous "Final Bout" full body locked bucks display! Follow the sidewalk past the restrooms and around the south end of the building to the entrance to the center.